Known affectionately as the ‘Pyjama Picasso’, Michael Bevan’s place in Australian cricket is legendary. With his strong leadership, team and individual skills, Michael motivates and captivates audiences, drawing on his experiences as an elite sportsman to deliver client goals. Michael is one of few players to play 250 games and has the distinction of being the only Canberra-born cricketer to represent Australia. In 2007 Michael was selected as a member of ‘Australia’s greatest ever one-day international team’. At the peak of his powers, he was considered by many to be the best one-day batsman in the world. Best known for guiding Australia to impossible victories in high pressure and tense circumstances, Bevan would often leave victory to the final over of the match. One of Australian cricket’s best memories was on New Year’s Day 1996 in a one-day match at the Sydney Cricket Ground against the West Indies. With four runs required for victory off the last ball, Michael put Roger Harper’s delivery to the boundary. Michael was a member of two winning Ashes teams and played in three world cups with victories in two. With New South Wales he played in 10 finals over 13 years. From an early age Michael dedicated his life to playing for Australia and being the best cricketer he could. During his time in the game he began to understand the reasons how and why individuals and teams achieve success. 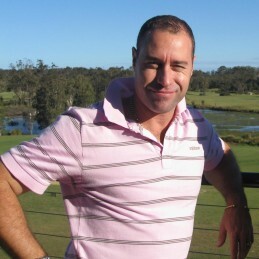 Michael is an accredited level-3 high performance cricket coach. During his three years as an assistant and batting coach with Tasmania he helped them to their inaugural Sheffield Shield and their first one-day trophy in 27 years. Michael would go on to coach the Chennai Superstars in the Indian Cricket League, leading them to two titles in two years, before coaching the Kings XI Punjab in the Indian Premier League.